I bought a new home back in 1989. It was pretty exciting until the Tropical Storm Chantell hit just 4 months later. Water poured through the windows causing considerable damage to my home and about 400 others in the neighborhood. This event and the lack of consumer protection in the State drove me to my first meeting of the Bay Area New Democrats (BAND). Over the next few years I became involved with an organization called Homeowners for Better Building (HOBB) and Homeowners Against Deficient Dwellings (HADD). Both were volunteer organizations. Over a period of about 10 years I became a self proclaimed consumer activist. On my own time and money I attended many hearings in Austin and took time to meet with elected officials and their staff concerning consumers rights and defects in new homes. Later we expanded into home insurance, the abuse of arbitration, and electricity deregulation. Over the years I have written many Op-Eds for papers across the state on consumer issues. In the late 90's I attended by first BAND meeting and became a Democratic activist. I later became Vice President then President of the organization. In 2008 I worked extensively on a local State Representative race. I have been active in the Democratic Party since. 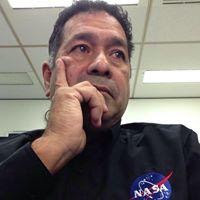 I will continue to blog on politics, consumer issues, ethics, and since I am retired, NASA issues also. Enjoy the reading and thanks for following! Would love your thoughts on Pete Olsen. On your recent post regarding Sema Hernandez, you neglected to include that with that measly 6k she won 24% of the primary vote in 2018. Yep and she lost 76-24. A complete waste of time, money, and effort.